The NAACP’s principal objective is to ensure the political, educational, social and economic equality of minority group citizens of United States and eliminate race prejudice. 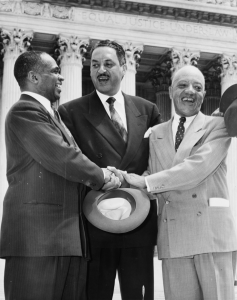 The NAACP seeks to remove all barriers of racial discrimination through the democratic processes. 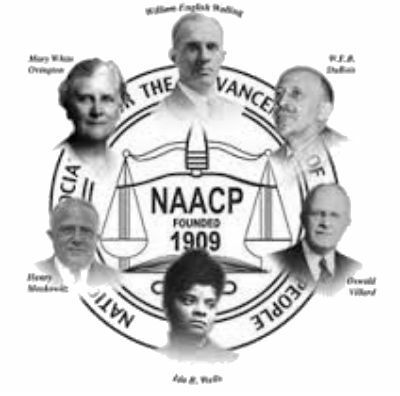 The NAACP established its national office in New York City in 1910 and named a board of directors as well as a president, Moorfield Storey, a white constitutional lawyer and former president of the American Bar Association. The only African American among the organization’s executives, Du Bois was made director of publications and research and in 1910 established the official journal of the NAACP, The Crisis. Du Bois founded The Crisis magazine as the premier crusading voice for civil rights. 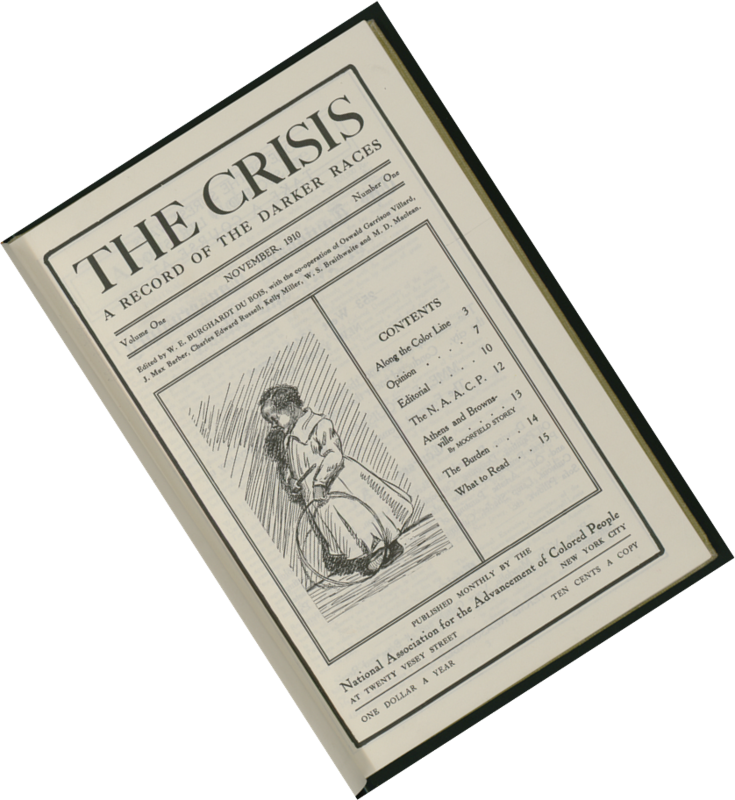 Today, The Crisis, one of the oldest black periodicals in America, continues this mission. A respected journal of thought, opinion and analysis, the magazine remains the official publication of the NAACP and is the NAACP’s articulate partner in the struggle for human rights for people of color. In time, The Crisis became a voice of the Harlem Renaissance, as Du Bois published works by Langston Hughes, Countee Cullen and other African American literary figures. The publication’s prominence would rise. 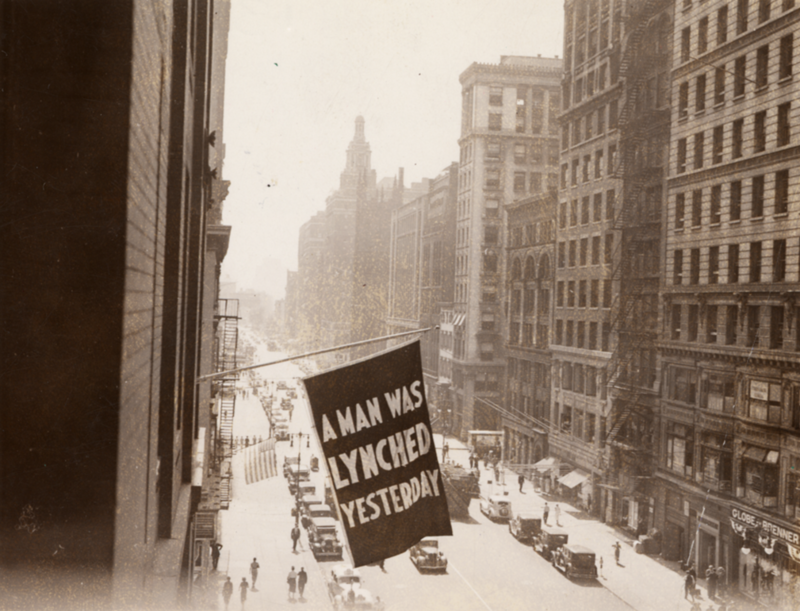 The NAACP waged a 30-year campaign against lynching, among the Association’s top priorities. 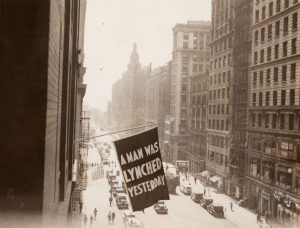 After early worries about its constitutionality, the NAACP strongly supported the federal Dyer Bill, which would have punished those who participated in or failed to prosecute lynch mobs. Though the bill would pass the U.S. House of Representatives, the Senate never passed the bill, or any other anti-lynching legislation. 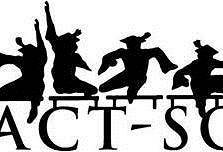 Most credit the resulting public debate-fueled by the NAACP report “Thirty Years of Lynching in the United States, 1889-1919”-with drastically decreasing the incidence of lynching. During the Great Depression of the 1930s, which was disproportionately disastrous for African Americans, the NAACP began to focus on economic justice. After years of tension with white labor unions, the Association cooperated with the newly formed Congress of Industrial Organizations in an effort to win jobs for black Americans. White, a friend and adviser to First Lady–and NAACP national board member–Eleanor Roosevelt, met with her often in attempts to convince President Franklin D. Roosevelt to outlaw job discrimination in the armed forces, defense industries and the agencies spawned by Roosevelt’s New Deal legislation. Despite such dramatic courtroom and congressional victories, the implementation of civil rights was a slow, painful, and oft times violent. The unsolved 1951 murder of Harry T. Moore, an NAACP field secretary in Florida whose home was bombed on Christmas night, and his wife was just one of many crimes of retribution against the NAACP and its staff and members. NAACP Mississippi Field Secretary Medgar Evers and his wife Myrlie also became high-profile targets for pro-segregationist violence and terrorism. In 1962, their home was firebombed and later Medgar was assassinated by a sniper in front of their residence following years of investigations into hostility against blacks and participation in non-violent demonstrations such as sit-ins to protest the persistence of Jim Crow segregation throughout the south. Former telecommunications executive Bruce S. Gordon followed in 2005. [NAACP General Counsel Dennis Courtland Hayes would serve the Association well as interim national president and CEO twice during changes in administrations in recent years. While much of NAACP history is chronicled in books, articles, pamphlets and magazines, the true movement lies in the faces–the diverse multiracial army of ordinary women and men from every walk of life, race and class–united to awaken the consciousness of a people and a nation. The NAACP will remain vigilant in its mission until the promise of America is made real for all Americans.